Secured Money Business PowerPoint Templates And PowerPoint Themes 0912-"Microsoft Powerpoint Templates and Background with secure money and price lock"-"Secure money and price lock, money, finance, success, government, business" Our Secured Money Business PowerPoint Templates And PowerPoint Themes 0912 exemplify capability. Think of it and they can do it. 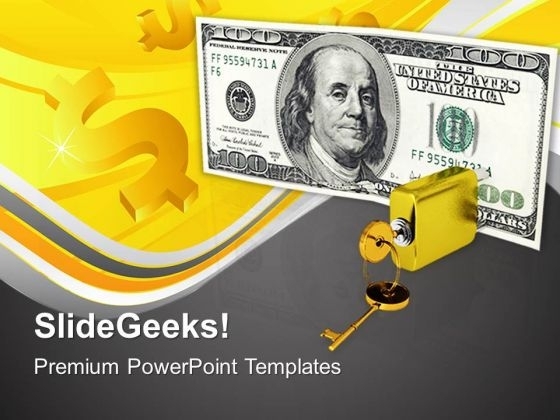 Demand it all from our Secured Money Business PowerPoint Templates And PowerPoint Themes 0912. They will deliver without fail.